If you are looking for an amazing massage in Las Vegas, look no further than Northwest Career College Massage Therapy Student Clinic. Enjoy a relaxing massage in a lovely spa environment. Northwest’s Massage Student Clinic is open seven days a week for your convenience in Las Vegas. Meet our many Massage Students and experience their varied massage offerings from Swedish to Deep Tissue to Hot Stone to Couples Massages. 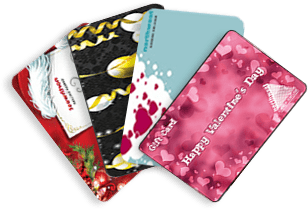 We have over 40 Massage Gift card options to choose from. Check them out and place your order today! The benefits of a Swedish massage include relaxing individual muscles and eliminating mental stress. When massaging, your therapist performs strokes toward the heart. Swedish massage improves your overall health by increasing blood and lymph circulation which has the result of cleaning and nourishing soft tissues – the skin and muscle. In turn, Swedish massage will help to drain metabolic waste from the limbs of the body. To this end, clients are always encouraged to drink lots of water after a massage to help flush the toxins out of the system. In the end, you will be healthier and feel great! The benefits of a deep tissue massage include reducing or eliminating tight, sore knots of muscles as well as creating an overall relaxing effect on a stressed body. When massaging using deep tissue techniques, your therapist will use a variety of techniques to “strip” the affected muscle or groups of muscles using their thumbs, knuckles, and elbow to go as far down as possible toward the bone to relieve the muscle tightness. This technique is highly successful for relieving pain in troubled areas such as a stiff neck and shoulders; legs and lower back; and areas in the body that are overused from manual or repetitive motion. By the time you leave, your muscles will be relaxed and you will feel looser! The benefits of a hot stone massage are many. When massaging, your therapist combines the smooth relaxing strokes of a Swedish massage with deeper strokes from a deep tissue massage while using heated stones. These hot stones are an extension of the therapist’s hands and have the ability to pinpoint heat and pressure directly to sore and tight muscles. This technique allows the therapist to focus deeply on areas of tension while also letting the heat of the stones relax and soothe your body. By the time you leave, your muscles will love you! The benefits of a couples massage, be it Swedish, Deep Tissue or Hot Stone, are varied. For couples, it can be a refreshing way to spend quiet time while receiving an amazing massage; for friends, it can be a great way to spend an afternoon hanging out; for family members, it can be a terrific way to share time without the hustle and bustle of a gathering. The two of you will be be placed in a large treatment room with two tables and two therapists for an incredible massage session. By the time you leave, you will both feel amazing! call (702) 272-0606 or fill out the form below. What Are You Waiting for? 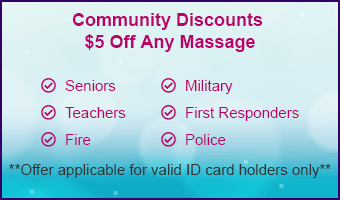 Schedule Your Massage Today! Our massage therapists are committed to your relaxation.